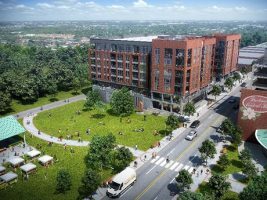 Blue Heron Asset Management’s project, Foster on the Park, a 164-unit apartment community overlooking Durham’s Central Park, has received a construction loan for its development. The space is expected to feature ground-floor retail and dining space and will be located at 545 Foster St., next to Durham’s Innovation District and Historic Durham Athletic Park. Previous PostHistoric mill in Charlotte’s “NoDa” district to be redeveloped into office spaceNext PostUpscale adult living community coming to Myrtle Beach, S.C.